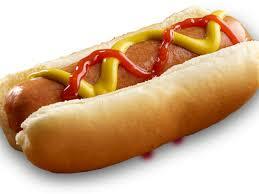 Savvy Spending: Free Hot Dog at Pilot Flying J travel centers on 7/18 with app! Free Hot Dog at Pilot Flying J travel centers on 7/18 with app! Pilot Flying J Travel Centers will be offering a free hot dog to all customers on July 18, 2018, in honor of National Hot Dog Day! Simply download (or open) the myPilot app on 7/18 and you'll seen an offer for a free hot dog or roller grill item.